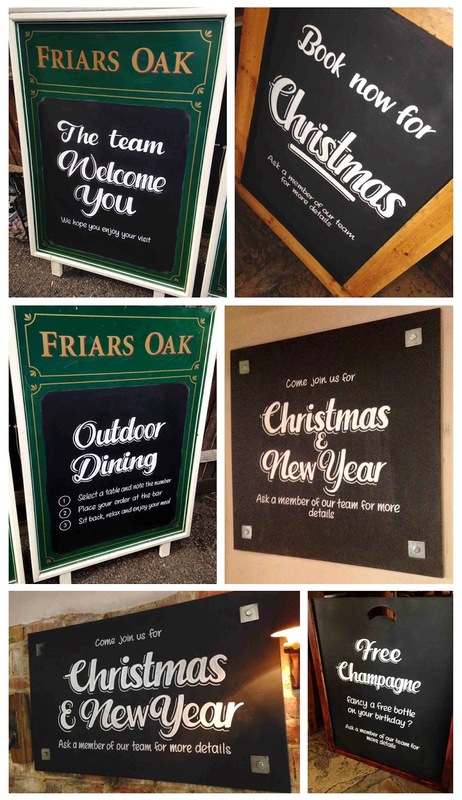 Assorted chalkboards for The Friar's Oak pub in Hassocks. 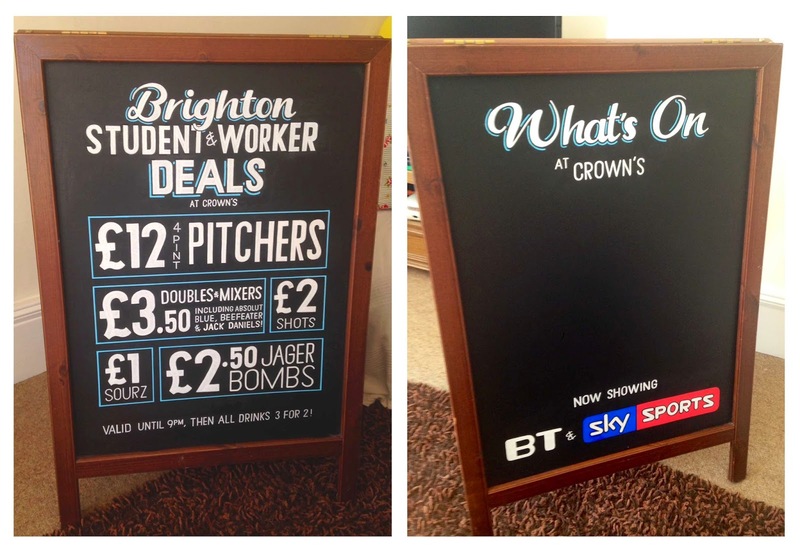 Double-sided A-board for Crown's pub in Brighton. 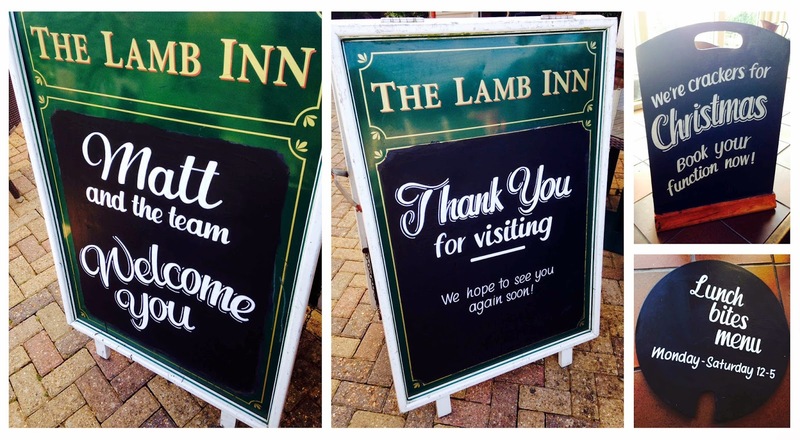 Simple yet effective chalkboard sign writing. Double-sided a-board for the Park View Pub, Brighton. (Both sides the same). 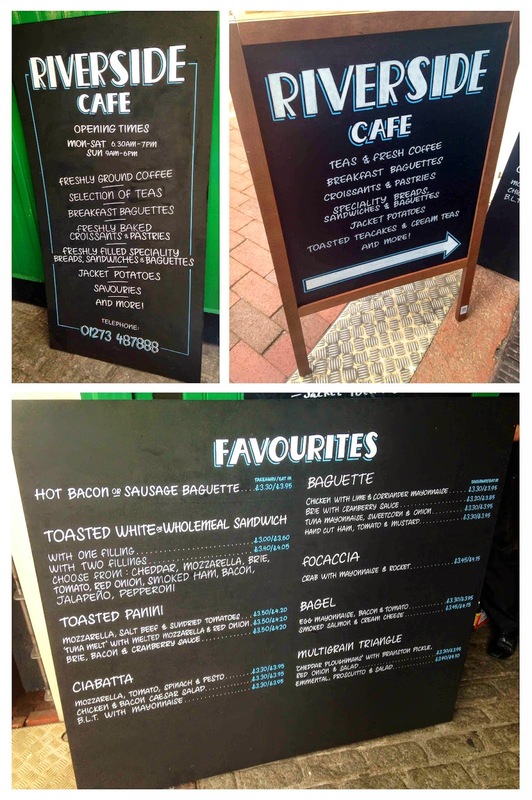 Assorted boards for the Riverside Cafe, Lewes. 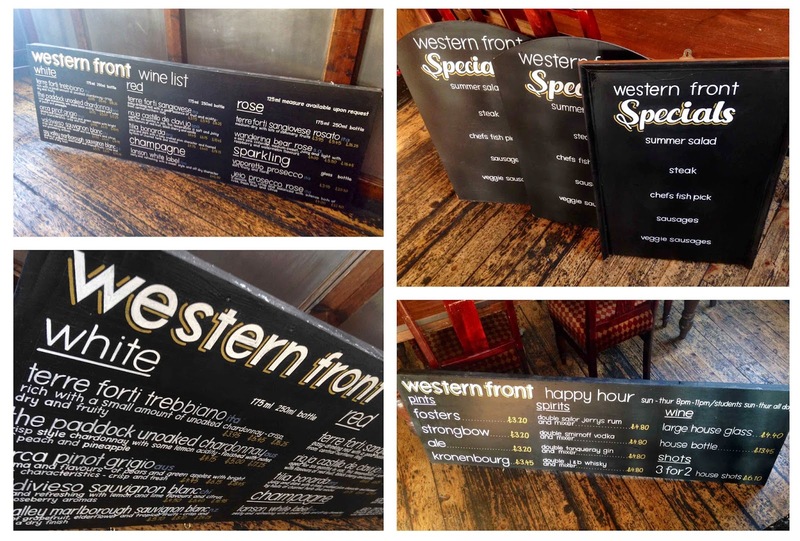 Assorted boards for The Western Front Pub, Brighton. 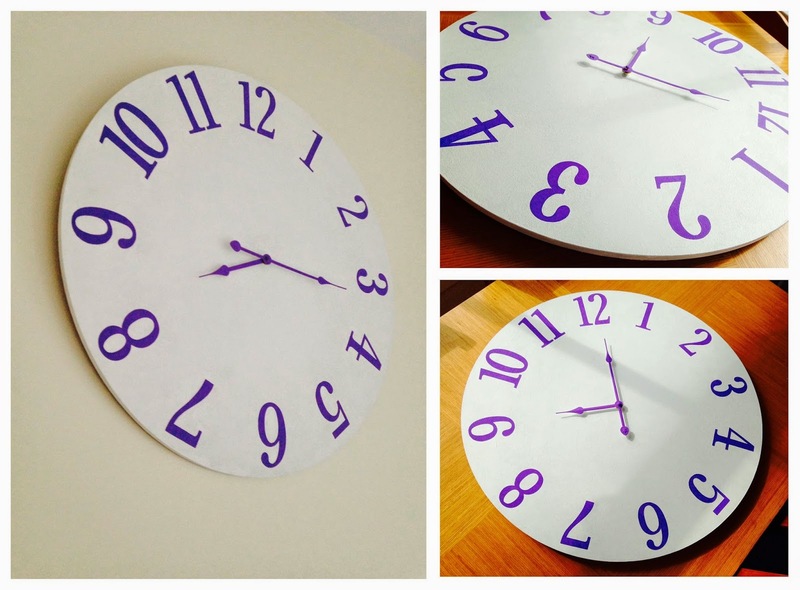 Designed a clock I did. What a busy week. Blackboard art anyone? 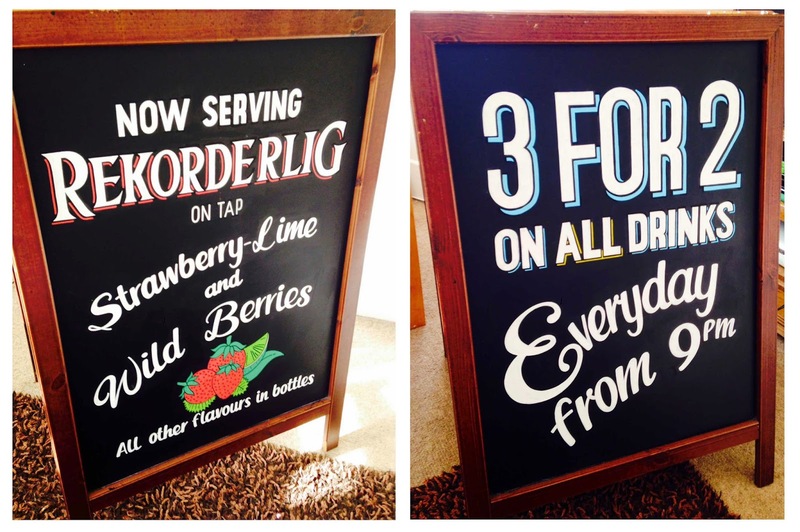 Boards and signwriting for the Connaught pub in Hove. 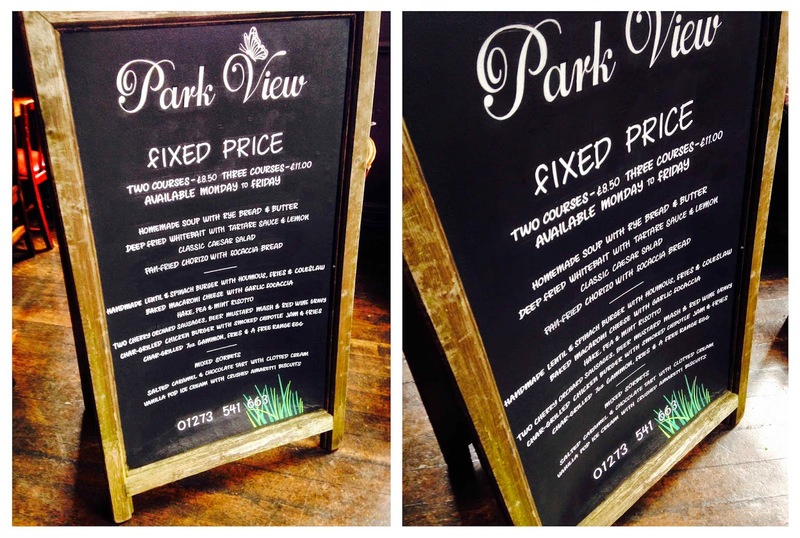 Double-sided A-board for The Park View pub in Brighton. 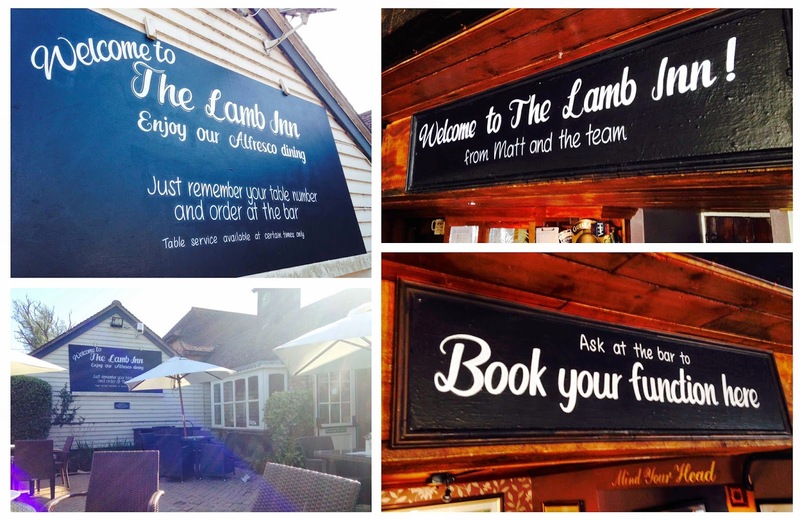 Assorted boards and signwriting for The Lamb Inn, Hooe. 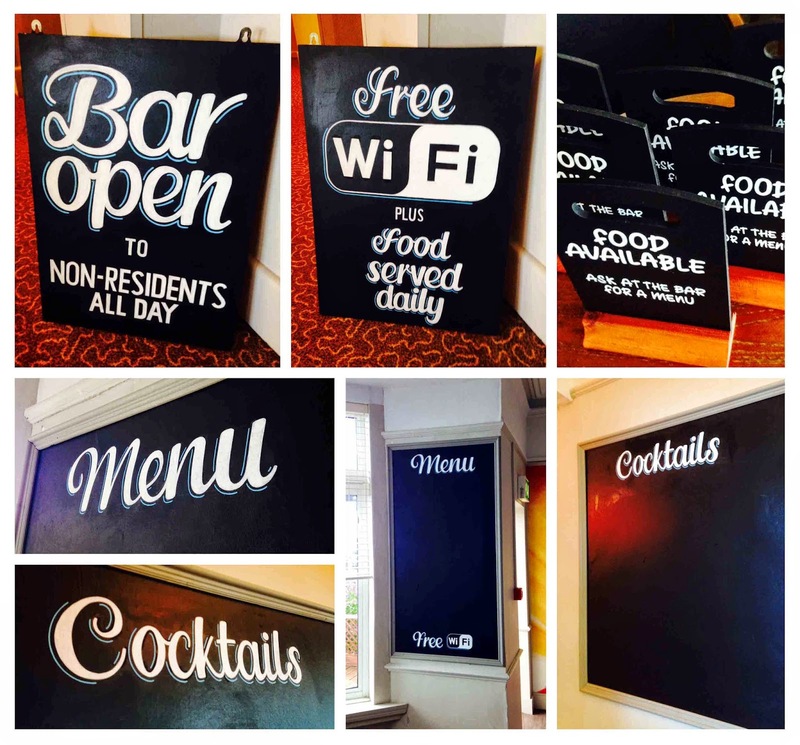 Chalkboard signwriting at The Majestic Hotel in Eastbourne.